I like inner decoration. Very comfortable bed and nice sofa to relax. We loved the big desk im attached single room. Huge bed and huge space. Love how I could cook at the place (maybe if there's an extension for the stove would be better). Overall this is one of the best stay I had for apartment studio. 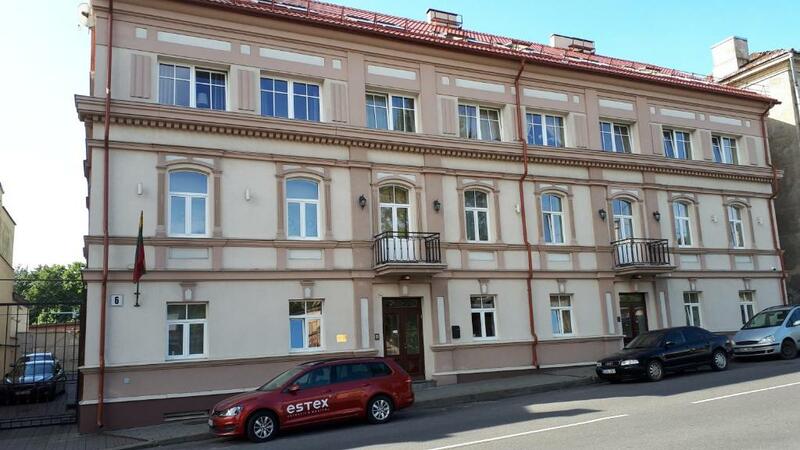 It is just a few minutes walk from Vilnius bus station and approximately 15mins walk to the old town. There's a supermarket at the bus station if you decide to cook. Perfect localization, cosy and comfortable apartments, very friendly personnel. Awesome place to stay, very close to bus and train stations, and Old City as well. Spacious apartment with everything you need. Good value for money. Parking on the street right in front of the apartment house. It only takes you a 10-15 minute walk to the city. The intere strutture is extremely clean. Availability, kindness and discretion are at home. To underline the super internet wirless connection. Probably this is a very a good fiber, it allowed me to see fullHD film without any problems. The structure is very close to important international bus hub (above this a convenient supermarket). Not so far away from it, the central train station; so with a pleasant walk you are practically in the town center. I can only recommended this structure. Clean, spacious room. Comfortable bed. Caring hosts. Fair price. IKI store nearby. Only 2.5 euros to get to old city by Uber. When I visit Vilnius next time, I will definitely have this apartment in mind. 1.Cleanliness 2.Bus station, station is near 3.Super market is near Perfect! Понравилось все, всегда останавливаюсь здесь когда бываю в Вильнюсе! 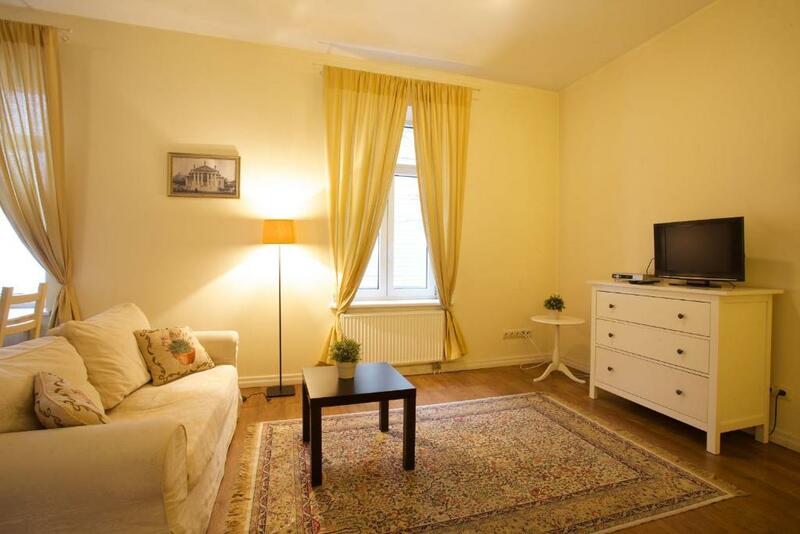 Lock in a great price for Vilnius City Apartments – rated 9.3 by recent guests! 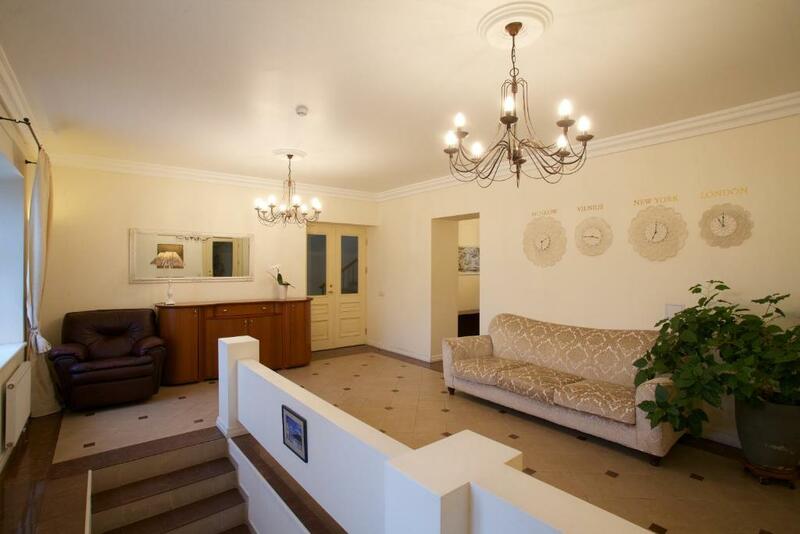 Located in the center of Vilnius, 2,300 feet from the Gate of Dawn, Vilnius City Apartments all offer free Wi-Fi and free private parking. The airport is 2.5 miles away. From the Vilnius City Apartments, the medieval part of Vilnius with the historic Town Hall can be reached in a 10 minute-walk. Many clubs, shops, museums and restaurants are nearby. Several bus stops and the main train station can be reached within 1,000 feet of the Vilnius City Apartments. 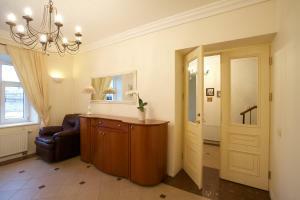 All Vilnius City Apartments consist of a living room, a bedroom and a bathroom. 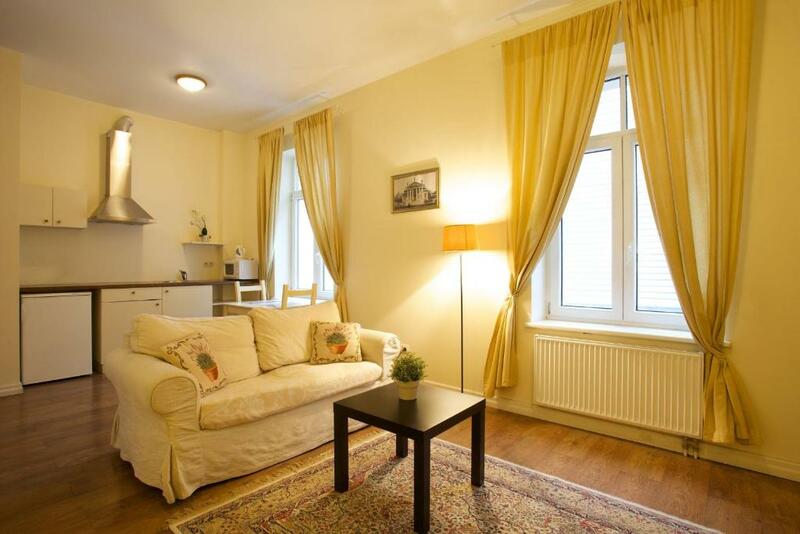 They provide cable TV, a fully equipped kitchen and soundproof windows. 뀐 Located in the top-rated area in Vilnius, this property has an excellent location score of 9.0! 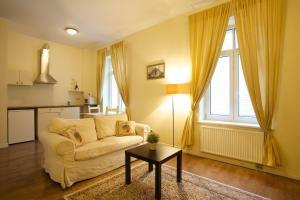 When would you like to stay at Vilnius City Apartments? Area Info – This neighborhood is a great choice for travelers interested in shopping, walking and old-town exploration – Check location Excellent location – show map Guests loved walking around the neighborhood! 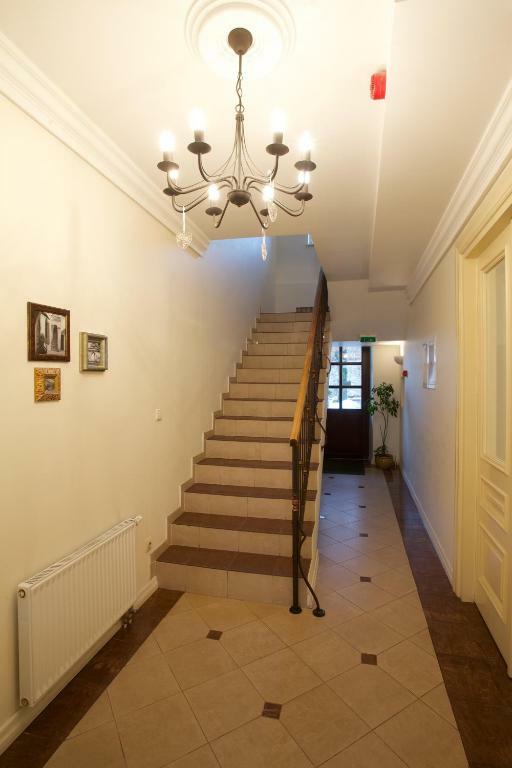 House Rules Vilnius City Apartments takes special requests – add in the next step! Vilnius City Apartments accepts these cards and reserves the right to temporarily hold an amount prior to arrival. Guests are kindly requested to contact the hotel prior arrival for further details. Contact information can be found in the booking confirmation. 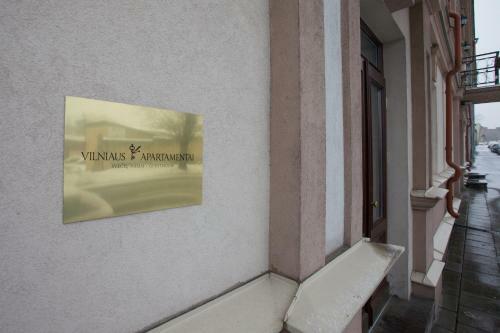 Please inform Vilnius City Apartments of your expected arrival time in advance. You can use the Special Requests box when booking, or contact the property directly using the contact details in your confirmation. Nothing! Love everything about this place. No parking. Kitchenette is really basic and mostly to use for cold dishes. 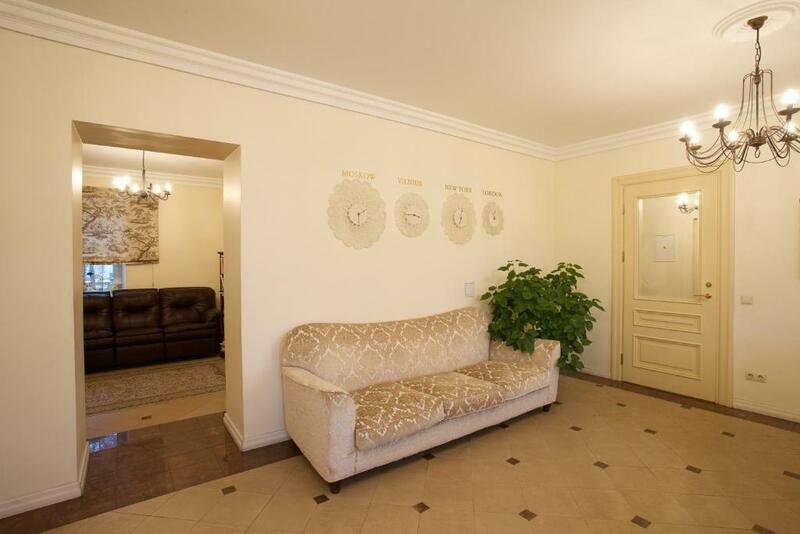 Very good spacious apartments, quiet street. Some apartments are up 3/4 flights of stairs and might prove a challenge if elderly with heavy bags. A little bit anonymous. We did not see a single person in the house when we were there. However, everything worked out just fine. for what i concerns me, nothing in particular. Windows were facing the street, and morning buses were quite frequent and loud early in the morning. My friends had Apt. 3, which was facing the quiet side. No TV channels were tuned, so I had to watch football on my iPhone. The host promised to fix, so next visitors should have more luck.